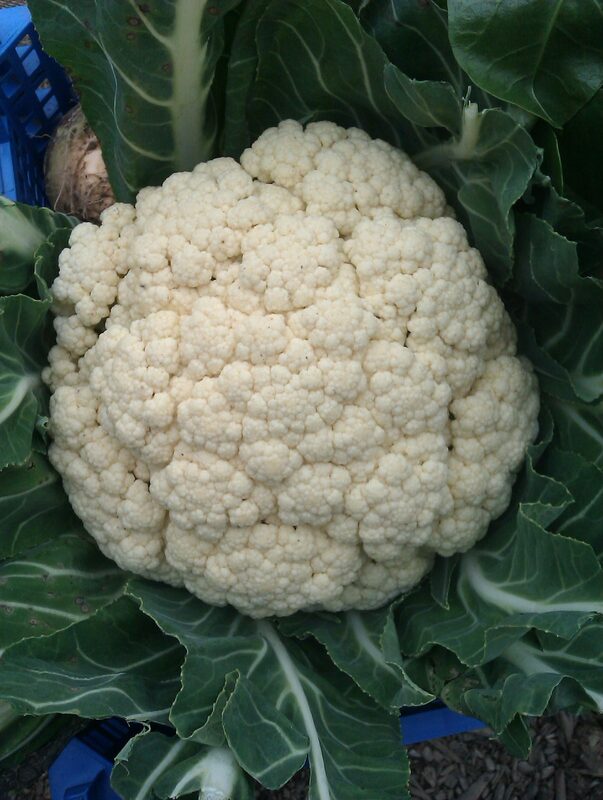 We’ve had cauliflower in our veg boxes every week now for… I’ve lost count! But then we are in Cornwall, the UK’s cauliflower kingdom. 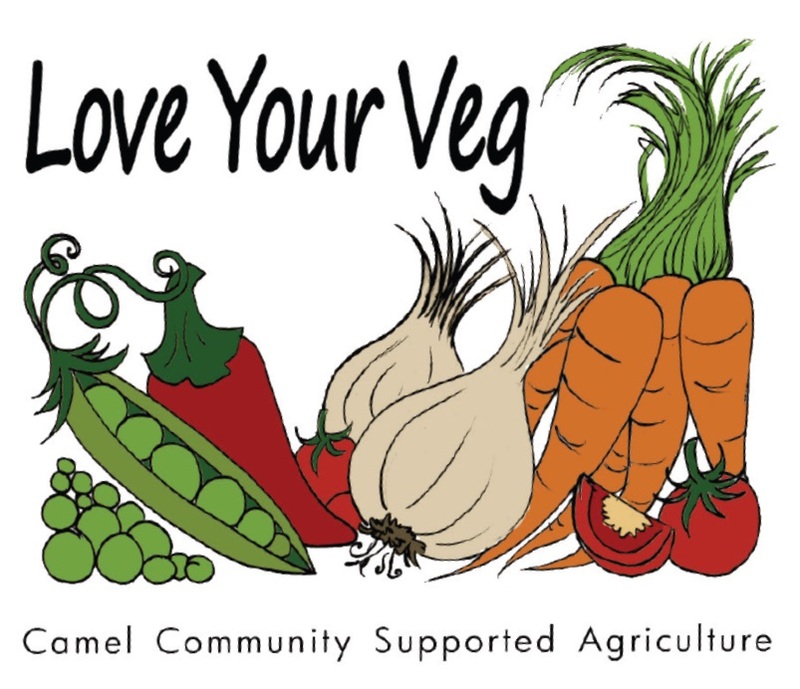 We’ve so many suggestions for preparing cauliflower on Camel CSA’s recipes page, it’s hard to find new ones. Trim the leaves of the cauliflower, if necessary, so the top of the white part is exposed and level the base so it sits flat. Heat the oven to 240C. Bring to the boil a large pan of water with 1 tbsp fine salt per litre dissolved in it, then lower in the cauliflower, stem-side up. Bring to the boil again and cook for eight minutes, turning once if necessary, then drain and leave to dry in a colander, florets-side down, for 10 minutes. Beat the oil into the butter. Rub all over the cauliflower and season, then roast on a baking tray for 20 to 30 minutes until well browned, basting occasionally. Meanwhile, if you’re making the sauce, heat the olive oil in a medium saucepan and fry the garlic and anchovies, if using, until the garlic is golden and the anchovies begin to break down. Stir in the herbs and the grated zest of the lemon, followed by the tomatoes and 2 tbsp lemon juice. Bring to a boil, then turn down the heat and simmer gently for 20 minutes. Season to taste, then pour into a shallow bowl and place the cauliflower in the middle. If you’re making the dip, stir the cheese into the creme fraiche. Finely zest in the lemon, then add a scant 1 tbsp of its juice. Top with a little olive oil and serve alongside the cauliflower when it is cool enough to handle. We have spring onions and home-grown bean sprouts in this week’s veg boxes. 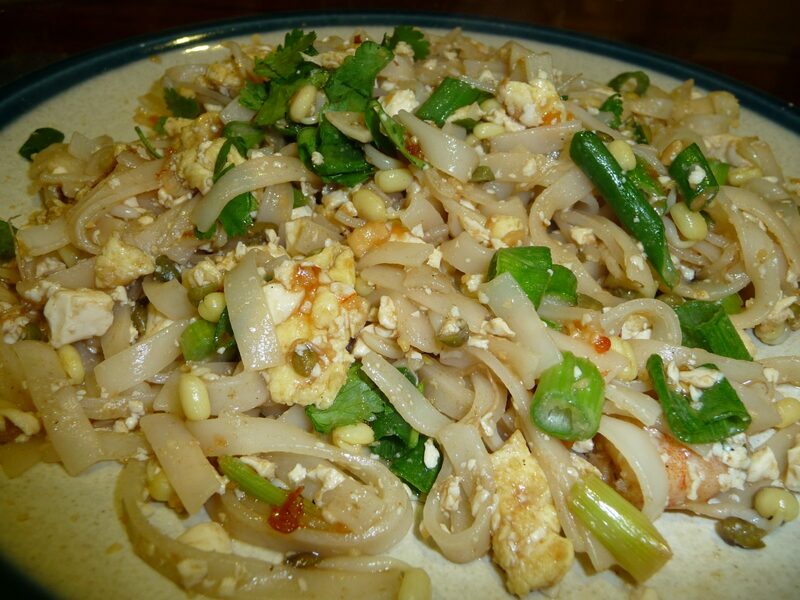 My husband Frank adapted Felicity Cloake’s perfect pad thai recipe as we were lacking several other ingredients! If you haven’t got palm sugar he recommends using soft brown sugar. If you want a vegetarian pad thai just leave out the prawns. Cook the rice noodles as directed on the packet until pliable but al dente. Drain and rinse with cold water. Meanwhile, make the sauce by combining the fish sauce, tamarind and palm sugar in a small pan. Heat gently to dissolve the sugar and taste – add more of any of the ingredients as you wish. Season with chilli to taste and set aside. Lay out all the ingredients within easy reach of the hob in the order they’ll be used. Put a wok on a high heat and add half the oil. Add the beaten egg and stir fry until cooked, remove from the pan. Add the rest of the oil and the garlic and spring onions, stir fry for a few seconds. Add the prawns, stir fry until they are starting to turn pink, then add the beansprouts and tofu and stir fry for 30 seconds or so. Add the noodles, the cooked egg and the sauce, then stir until heated through and the noodles are soft enough to eat. Serve with the garnishes for people to add as they wish. A conversation on Facebook reminds me of this delicious method of making tomato soup from Felicity Cloake in the Guardian. Roasting the tomatoes first gives it an exquisite, deep flavour. 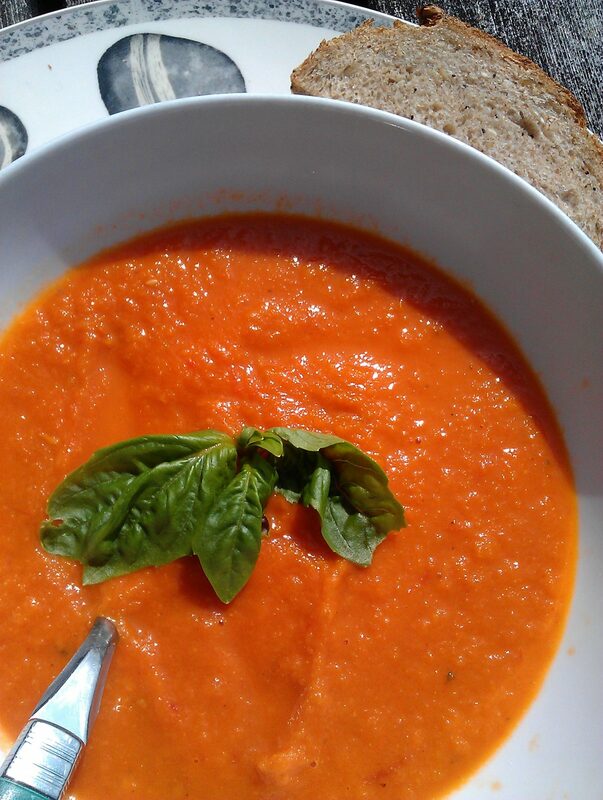 Best made with the freshly-harvested tomatoes, basil and onions from Camel CSA’s veg boxes. Excellent warm or cold. Preheat the oven to 190C and cut the tomatoes in half horizontally. Arrange, cut-side up, in a baking dish, drizzle with half the oil and season with salt, pepper and a pinch of sugar. Bake for about an hour, until softened and beginning to char around the edges. Heat the remaining oil in a large, heavy-based pan over a medium heat and add the onion, carrot and garlic. Cook, stirring regularly, for about 7 minutes until softened. Meanwhile, chop the basil stalks, and then add to the pan and cook for another minute. Add the tomatoes, plus any juices from the dish, to the pan along with the stock. Stir and bring to the boil, then turn the heat down, cover and leave to simmer for 25 minutes, until all the vegetables are soft. Leave to cool slightly. Use a blender to purée the soup, then stir in the vinegar and creme fraiche, and season to taste. Reheat gently, while you tear the basil leaves into pieces, then serve with these and a drizzle of olive oil on top.